Is Citadel a buy at current prices? Citadel Group (ASX: CGL) is a leader in the development and delivery of managed service solutions to a range of government departments and private sector businesses. We believe CGL’s competitive edge is their expertise and deep experience in ‘managing knowledge in complex environments through integrating know-how, systems and people to provide information on an anywhere-anytime basis.’ The majority of CGL’s revenues are derived from long term managed services, software-as-a-service and high quality strategic advisory services. CGL was established in 2007 and listed on the ASX in 2014 with a board and senior management team whose experience and quality would rival most ASX100 companies. This includes former Macquarie Bank Chairman Kevin McCann, retired Lieutenant General Peter Leahy AC and CGL co-founders Mark McConnell and Miles Jakeman, both of whom have defence and intelligence backgrounds (respectively). CGL’s client base includes government agencies at all three levels (local, state and federal) as well as blue chip private sector businesses. Given CGL’s strong track record of securely managing sensitive information across a diverse range of networks, we believe CGL remains well placed to add further significant contracts over the medium term, particularly in health, utilities and education. As it stands, CGL is represented on over 240 different contract and preferred supplier arrangements nationally. International markets, particularly allied Commonwealth nations such as New Zealand and Canada, also represent a solid pool of opportunity in coming years. The balance sheet remains in sound shape, with net cash of $21m. Cash generation was a highlight, particularly in the second half. Operating cash flow of $24.9m for the period was better than our expectations and drove the declaration of a higher than expected final dividend of 8 cents per share, fully franked. With all key technology contracts locked in for FY2018, we believe CGL is well placed to drive further earnings growth in the year ahead. To date, CGL has not lost a contract & management has consistently expressed confidence in renewal of all key contracts over the coming 2 years. Conversely, non-renewal of existing contracts presents as a risk to the earnings profile of the business. 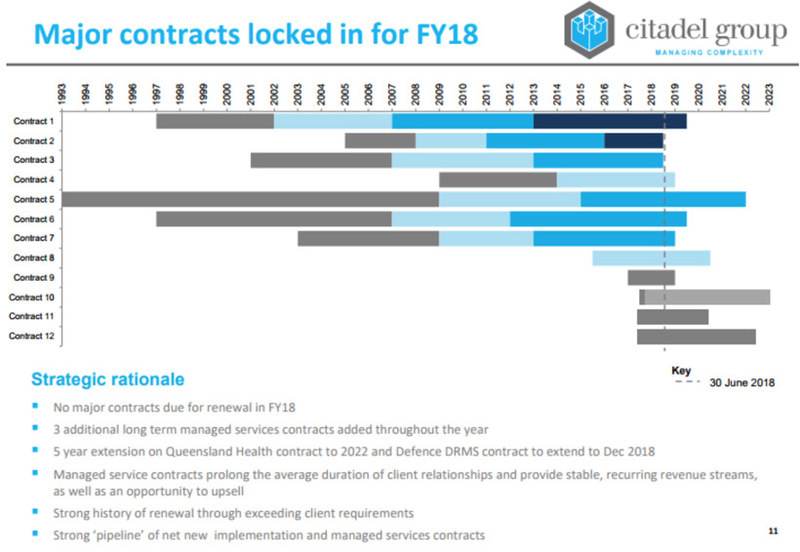 Figure 1: CGL Contract Overview. Our valuation reflects the generally positive outlook, with profit and profitability forecast to continue improving over the medium term. At current market prices, we believe CGL trades at a modest discount to intrinsic value. Due to the nature of its business and business relationships, we believe Citadel Group’s strategic growth plans can be achieved with little dependence on the broader economic environment. Adrian Ezquerro is a senior analyst and portfolio manager for the Clime Smaller Companies Fund.